UPDATE – I originally posted this article on investing in Prince Edward County real estate in November 2016. Land values have doubled in the last five years, and the first months of 2018 saw some investors buying, severing lots and selling in short order. In my opinion, this does not change the conclusion that purchasing vacant land with no prospect of positive cashflow is and remains a speculative venture. I was recently approached by a younger client with no previous real estate investment experience. who was considering investing a substantial portion of their retirement resources in vacant land in the County. In this post I would like to share the feedback I gave them in case it’s relevant for anyone else considering a similar strategy. With the caveat that I am not a financial planner, diversification to reduce risk is normally a core principle of investing strategy, which is important to consider before making County land a substantial part of one’s retirement investment. Experienced investors in land often buy tracts which are currently not serviced with sewer/water in the hopes that value will rise when services arrive in the future. Investors in vacant land may also look to sub-divide to increase value. Here in the County there are no plans to extend services beyond the current built-up areas. Also, as rule, no more than two lots can be severed off rural land, and often none at all, depending on location and history. The investment risk in vacant land is increased because it is often cash flow negative, where the owner must spend money each year (e.g., taxes) rather than receiving money. Real estate investments which produce annual cash income (e.g., rental properties) are much less risky than vacant land. 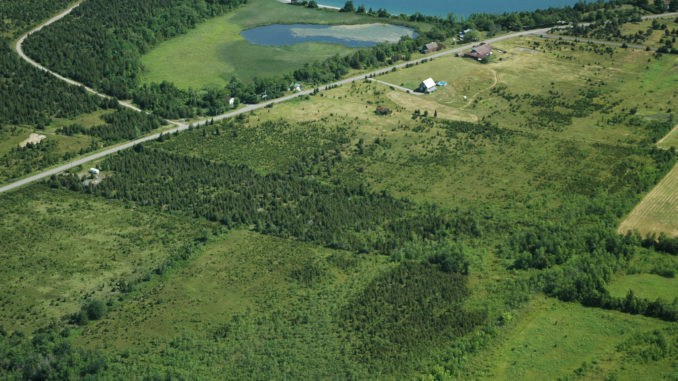 Finally, there are potentially serious tax implications of investing in land as opposed to investing in a tax-sheltered vehicle such as a Tax-Free Savings Account or an RRSP. Although an individual’s primary residence is not taxed on sale, other real estate owned by an individual is subject to capital gains tax. Before investing in Prince Edward County real estate, I would strongly recommend consulting an independent, fee-based financial planner or other financial professional. As a realtor representing buyers, I am obviously very happy to help clients find vacant land for investment if that’s their choice, but it’s important to be fully aware of the risks involved.